In an increasing visual world, it is crucial to have great images to use in your content and marketing. The awesome thing is that with modern technology anyone can be a great photographer and share their images with the world. Today I am sharing more than 90 free image sources for bloggers and businesses. Keep in mind that free is a relative term and may mean free with attribution and a link back to the original. Likewise, royalty free differs from free of charge. As with anything else, it is absolutely necessary that we understand the terms of our work. Glossaries like The Blogger's Guide to Blog Speak are handy to keep around for this reason. But if you need a quick run down of just image terms, this post by Inc.com has a great explanation of the different terms image licenses are likely to use: free, public domain, royalty free and creative commons. NEVER just copy and use an image you find on a Google search or another person's blog or website. And always be sure to double check the permissions, attribution requirements and licenses. Just as you would give attribution to a quote from a book or other text, an artist's work should also be attributed, unless he/she has specifically waived that requirement. You can never be too careful, and an extra minute or two now can save you lots of money and headache in the long run. Trust me, if you cannot afford to purchase stock images, you cannot afford the fines that come with “stealing images” and claiming ignorance is not going to get you anywhere. 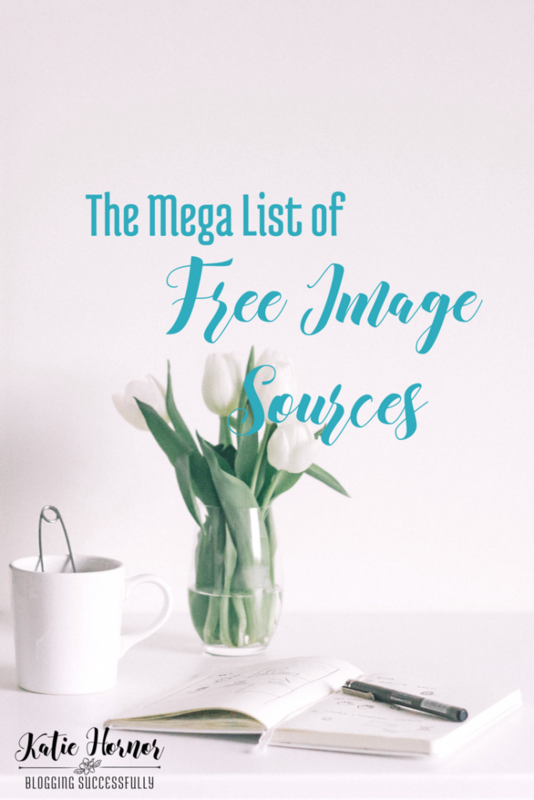 This mega-list of free image sources contains thousands of images that can be used for free, under differing conditions: some with attribution and some without, some for personal or educational use, and some for commercial use. Either way, there are enough images here to last a lifetime, and many of these sites continue to add images daily. * means I have used the source personally. Another interesting way to do things backwards is to use TinEye: a reverse image search engine. Here you can find information such as where an image came from, how it is being used, if there is a higher resolution version, or if modified versions of the image exist. Want to edit your images? Which free image sources are your favorites? Did I leave one out? Please mention it in the comments.